As Catholics, we are dismayed by Minority Leader Pelosi’s out of touch and self-serving statements that throw women and their right to make their own moral decisions under the bus. Let’s be clear—unity in diversity of thought is an important value in America and what any political party should seek to nurture. However, a party that claims the mantle on social justice and civil liberties cannot turn its back on women’s moral autonomy and the right to make conscience-based decisions. Women’s rights are human rights and they cannot be traded away based on short-sighted political calculations. 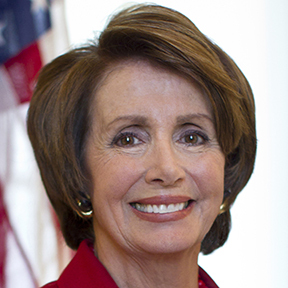 Minority Leader Pelosi’s claim that ‘abortion is a fading issue’ is also downright irresponsible when women’s access to abortion services is under attack across America by restrictive legislative proposals and efforts to limit providers, especially for the poorest women…. How do you take a statement like that seriously when it starts, “As Catholics…?” But of course, the purpose of this organization is to convince you to accept that proposition. I ask you: Did any part of that statement feel “Catholic” to you? In style and voice, did it sound like something, say, Pope Francis would say? No. In tone and word choice, it read as though it had been written by an indignant college sophomore interning at NARAL. God is all very well and good, as long as he makes himself useful to the cause? This entry was posted in Abortion, Democrats, Faith, Marketplace of ideas, The Nation, Words on May 3, 2017 by Brad Warthen. Try to not misunderstand and mischaracterize Democrats when it comes to views on abortion laws. Not all Republicans oppose access to legal abortions; not all Democrats favor access to legal abortions. The degrees of belief and commitment would astound you if you would listen carefully. Although traditional Catholic stances on morality and public policy have leaned heavily toward use of laws to enforce Catholic moral codes, those leanings have changed substantially over 4-5 decades. Catholics hold differing views. So do Democrats and Republicans. Enforcing party orthodoxy on a number of issues has become a favorite tool of ideologues in both parties, but it hasn’t quashed dissenting views in either – just diminished it in public discourse. Catholic leaders who would try to enforce their established view contraceptive use would face great opposition – unless they narrowly defend it in terms of conscientious objection, i.e. refusing to include t in health care coverage. Uniting on abortion law with non-Catholic evangelicals (many of whom think Catholics are going to hell) gives them a political viable alliance that can be useful. It’s about as irritating and unwise to me as policies on the state of Israel being supported by “evangelical” Christians based on end-time “prophesies” that will likely send most of those Israeli citizens to outer darkness after they’ve been slaughtered by the armies of the Lord. I just don’t see punishing poor women by forcing them to risk illegal abortions (richer women simply go where it’s legal). It won’t reduce abortions. Most abortions that aren’t medically necessary, are the result of the woman’s/girl’s desperation.